WHERE TO FIND THE OYSTER BOY? Our beloved Columbia Road Market, our spiritual home, and where you find us every Sunday. It's simply one of our favourite spots in London. A vibrant mix of fabulous floral delights, delicious food and drinks, and more important than all of that... delicious Oysters and Bloody Mary's served by the original Oyster Boy himself. You can find us tucked away just off the Flower Market on Ezra Street. Surrounded by lovely bars, beautiful people and some half decent street musicians. Join us every Sunday and see for yourself! Looking to spend your Saturday straight chillin'? Don't worry we have you covered. Since starting in Broadway Schoolyard in 2013, Oyster Boy hasn't missed a Saturday at our favourite East London foodie market. Broadway Market has got some of the best street food dished up in the big smoke, so it's hardly surprising you will find Oyster Boy right there with them. Find us halfway down the market next to the buskers corner and La Bouche cafe. The Oyster Boy went off into the big bad world, but then he came back to his South-East roots. Having spent much of his childhood dragging his shell around the mean streets of East London, he couldn't refuse the opportunity to open a market there. Operated by the EatMeDrinkMe group, Deptford Bites delivers fantastic food and drinks in a fun and friendly setting. Deptford Market Yard right next to the Deptford Train Station. Since opening, Chiltern Firehouse has become world renowned as one of the most sought after hangouts among London's trend setters. Boasting two cocktail bars, alongside a fine dining restaurant and decadent hotel, we are tremendously proud that they let a ruffian like Oyster Boy get involved! 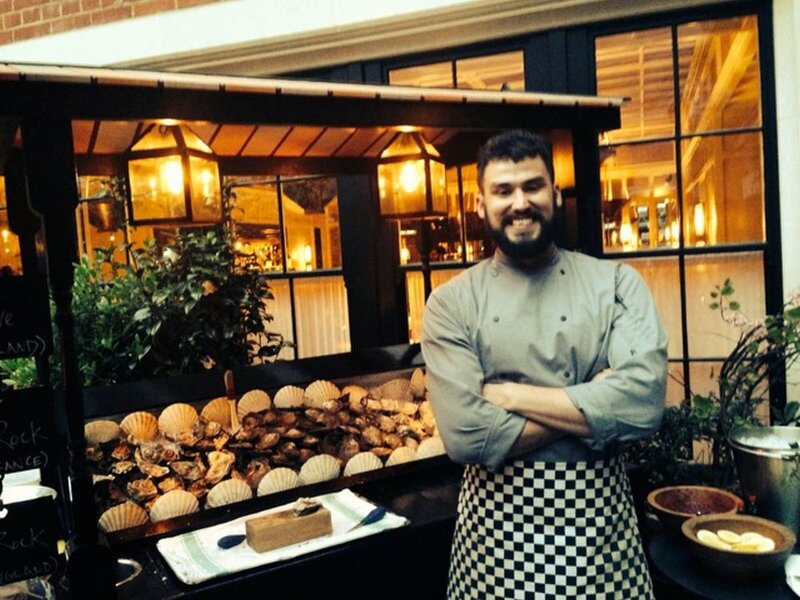 Through working at Chiltern Firehouse, Oyster Boy has dished up the finest oysters available worldwide, and learned a thing or two about how to impress even the highest end clientele. But don't worry... We still have our feet on the market ground.